Today I thought I'd do abit of a collective haul of the makeup and beauty goodies I've bought over the last couple of weeks. I will probably be doing reviews on most of the goodies in this haul, once I've used everything abit more as some bits I've had longer than others. You cant beat a good ole Sleek eyeshadow palette can you, they are the only high street eyeshadow palette's I really LOVE to be honest and when I heard Sleek had released 'Garden of Eden' for Spring it went straight onto my wish list and then straight into my basket the minute I saw it ha ha. The colours in the palette are beautiful, earthy and most importantly easy to work with. I've always wondered how MUA's little £1.00 pressed powders would fair against the rest so I finally picked one up to try in shade 3. So far, so good and for just £1.00 you really cant go too wrong can you. I've been picking this foundation up and then putting it back down in Superdrug for months but I finally caved! I love my Rimmel foundations which I always repurchase but I hear such good things about Revlon foundations that I just knew I couldn't fight temptation anymore. I opted for Photoready because it has such pretty light reflecting particles in that make your skin look radiant and dewy which I love and the colour match to my skin was perfect. Look out for a full review coming soon. Barry M Nail Paints are a firm favourite of mine and whenever a new collection is released I just have to get my mitts on them to try. The Aquarium collection is great fun and if you love metallic, duo chrome or foil effect polishes you'll love these, the shades are based on all things aquatic and beachy so if your not a fan of the traditional pastel nail for Spring these could be a great alternative. My review on Mediterranean and Treasure Chest is coming very soon. After hearing such good things about these Urban Decay 24/7 eye pencils from a friend I knew it wouldn't be long before I had to have one and in the end my lovely boyfriend kindly treated me to one. I opted for the NAKED 3 double ended pencil which comes with Darkside on one end and Blackheart on the other which match up with the shades in the NAKED 3 Palette. Whilst in my local MAC store I asked if I could be colour matched for their foundations as believe it or not Ive never tried or owned any of MAC's foundations. I explained that I have dry skin, I like a dewy finish and that I like nothing too heavy, so the lovely lady matched me up and then popped some of the Mineralize Moisture Foundation in NC15 onto my skin. I was kindly given a sample to take home and try, so far I'm not too convinced on the foundation itself but the colour match is great! Another treat from my boyfriend he he, serious boyfriend points over here!!! I've never actually owned a brush cleaner that's great for spot cleaning my makeup brushes and having to deep clean my brushes all the time was becoming a chore, but now all my prayers have been answered thanks to this MAC brush cleanser, it makes my life so much easier and cleans up my brushes a treat. This was just a standard repurchase for me, however I've switched things up and went for the light moisturiser instead of the rich moisturiser, just because now the weather is changing slightly and hopefully it will be getting warmer soon so I'd prefer something that little bit more lightweight. And lastly the Simple eye balm... Ive never used an eye cream/balm before, so I thought it was about time I started, as I really should look after my delicate eye area and so far I'm loving this little beauty. 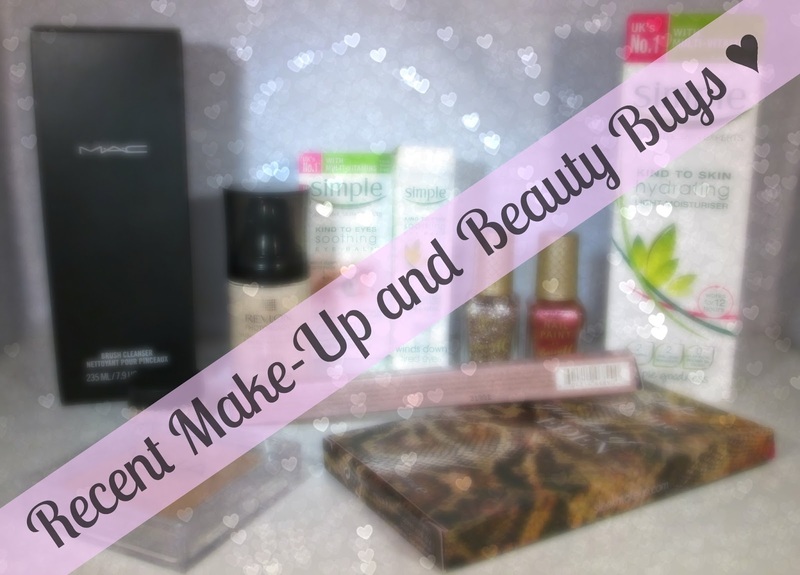 So that's my little collective haul of all my recent makeup and beauty buys for beaut's, I hope you enjoyed this kind of post and do let me know if you've picked up any of the goodies I purchased too. 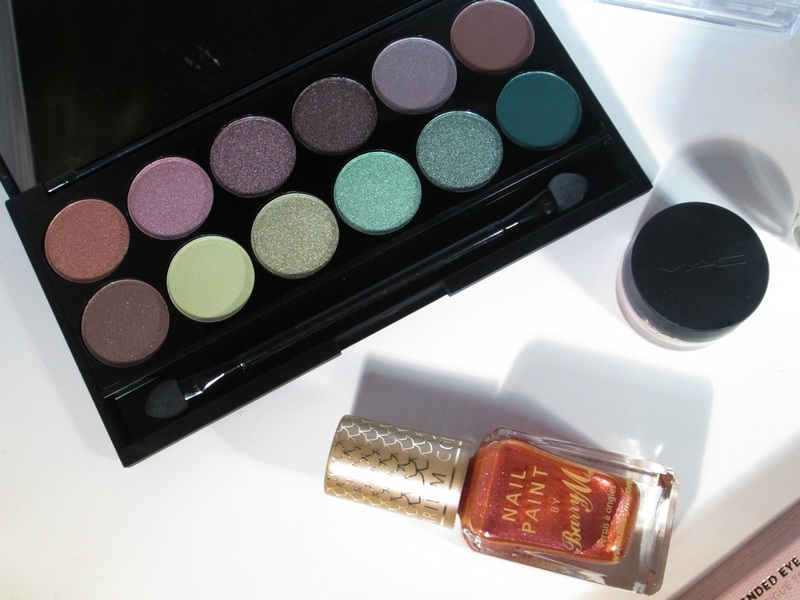 The Garden of Eden palette is calling to me! So pretty! I adore the shades on the sleek palette! 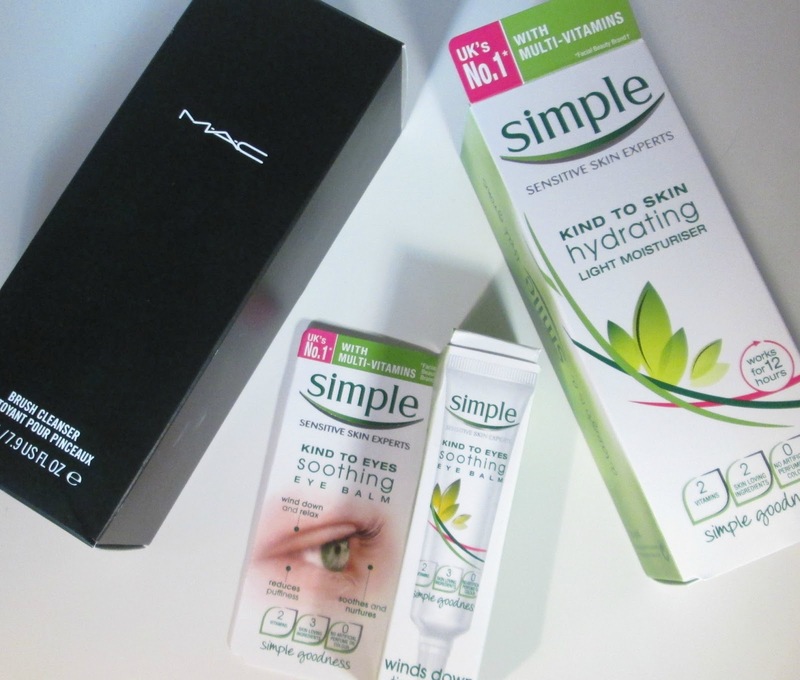 I recently purchased the Simple eye cream, it works really well. Your blog is very pretty! 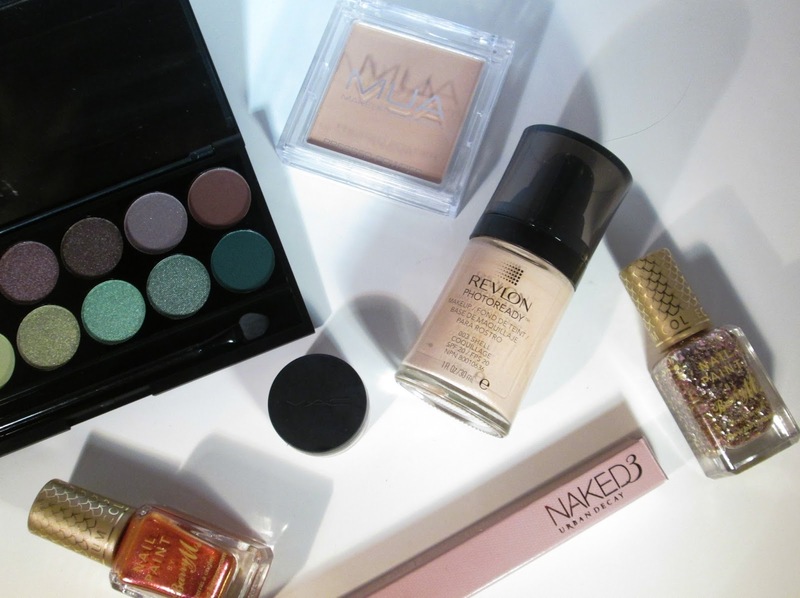 I found you through #bbloggers!